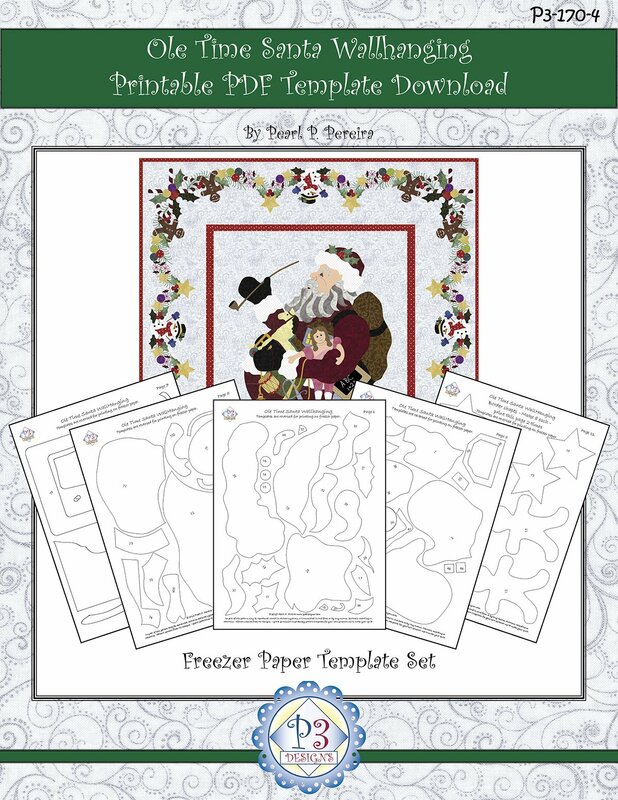 This companion download PDF contains 17 page document with the already mirror imaged separated applique shapes ready for printing on Ultimate Applique Template paper, other printable freezer paper sheets or Fusible web sheets. We know this will help you get right to work making your new quilt. Template PDF can be downloaded instantly after your purchase is completed or Check your email for the automatic invoice with the PDF download Link. The printable Templates are only sold online as a download on web site for retail customers only. Thomas Nast drawing of Santa was published for the 1862 Christmas season Harper’s Weekly cover. 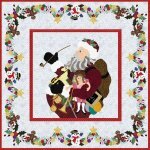 This image was the inspiration for the Santa block in my quilts. This wall hanging will decorate any room and delight everyone who sees it. Santa is now surrounded by a wonderful swag border filled with gingerbread men, snowman, candy canes, stars and ornaments. All held together with pine branch embroidery. Pattern includes 25” x 40” pattern with full size appliqué drawing for block and border repeat. Can be used for fused or hand appliqué and include Pearl’s Easy hand appliqué techniques or uses your favorite appliqué Method. Finished size 42” x 42”.